Some of us are blessed with amazing, cozy homes but didn’t get so lucky when it came to bedroom size. 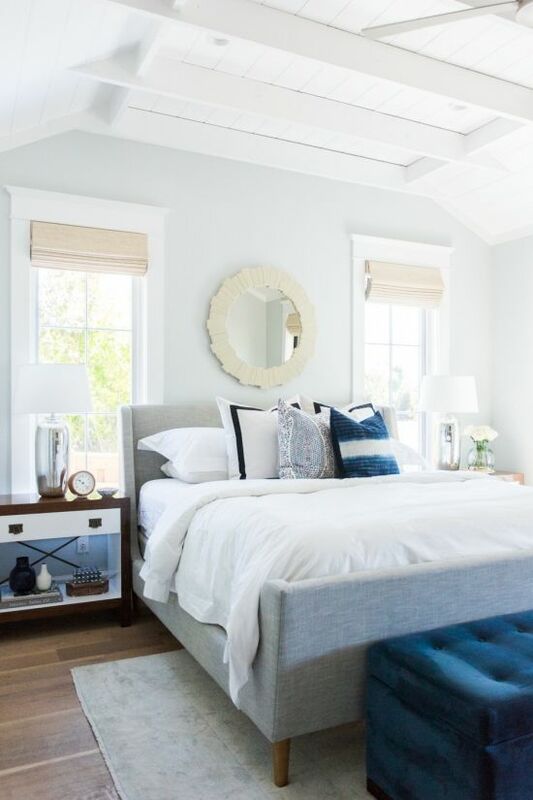 Whether your master bedroom is small or you just want to create more space in the other bedrooms of the house, there are definitely ways to make everyone’s space look and feel bigger. Get all of the style you’re looking for in a small bedroom space without the sacrifices. How? Check out our five steps on making the most of your square footage. The biggest mistake we see with small rooms is the size of the furniture. Reframe your thought process: your bedroom isn’t too small, your furniture is too big! Carefully measure out the dimensions of your space and draw out where the main pieces of furniture are going to be placed: the bed and the storage options are key. If you’re a single sleeper, you can opt for a full and still have plenty of room for a good night’s rest. Think about where you’d place a dresser or nightstands, and then shop for pieces that fit! If you’re downsizing, it may be necessary to buy new furniture that fits better. Don’t try to cram in pieces that simply don’t work! Dark colours absorb light, which will make a bedroom feel smaller and more constricted. Lighter colours on the other hand will reflect your room’s natural light, making your bedroom seem brighter and roomier. Keep this in mind when painting your small bedroom space. Light colours will also help the space look clean and are known to better your mood! This design tip is applicable to more than just paint colours. You should also opt for lighter hues in your upholstery, bedding, and wood finishes! Let’s face it, we would all love to have a California King sized bed, but do we actually NEED one? You can answer that question yourself; you may be willing to reduce the size if you knew how much space you would free up. With a bed lower to the ground, you’ll create a greater sense of height that’ll make your room look spacious and more open. If you’re lacking in storage options, choose a bed with built-in storage solutions, or choose a bed that’s raised to allow for storage solutions beneath the frame. While a small bedroom may not have the space for a vanity, a large mirror is a must in a small room. It’ll reflect any natural light and visually open up the space. Above the dresser is common placement for a large round mirror. However, if you have the space for it, a floor mirror propped against the wall can almost double appearance of your space! In a small bedroom, floorspace and tabletop space are prime real estate, so make sure to use it wisely! Skip floor lamps. A small chandelier should be plenty of ambient lighting in a small room. Then add task lighting near the bedside by installing sconces instead of placing table lamps on bedside tables like you may see in a traditional bedroom layout. With all of that saved tabletop space, you’ll have a place for books, journals, decor, anything else you keep on your nightstand. And you don’t always need two! If only one nightstand fits near the bed, play with the asymmetry by adding a small bookshelf or desk on the opposing side.